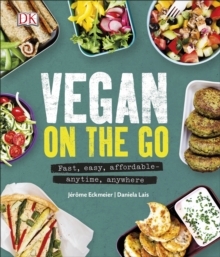 Discover the tricks for successful vegan baking from long-term vegans and innovative cooks Jerome Eckmeier and Daniela Lais. 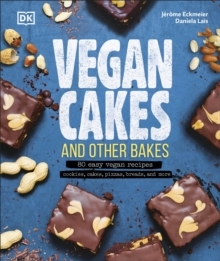 Their Facebook friends told them what they wanted to find in a vegan baking book and this is the result: 80 recipes for cakes, tray bakes, muffins, cookies, pizzas, savoury tarts and breads with simple instructions and use easy-to-source ingredients. Crucially their friends wanted the muffins to be super fluffy and the cheesecakes to be silky-smooth. The introduction recommends how you can easily make your own plant-based alternatives to butter, cream and eggs, and gives great advice on using these alternative ingredients successfully. Every recipe has a photo of the finished bake, making this a very practical cookbook as well as an inspiring source of highly original recipes for vegan bakers.